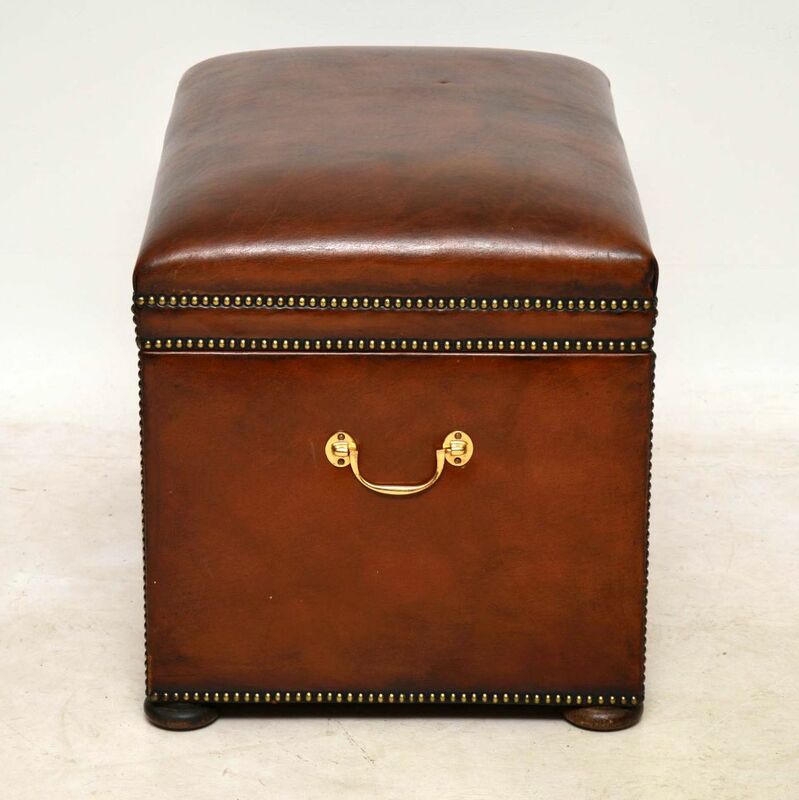 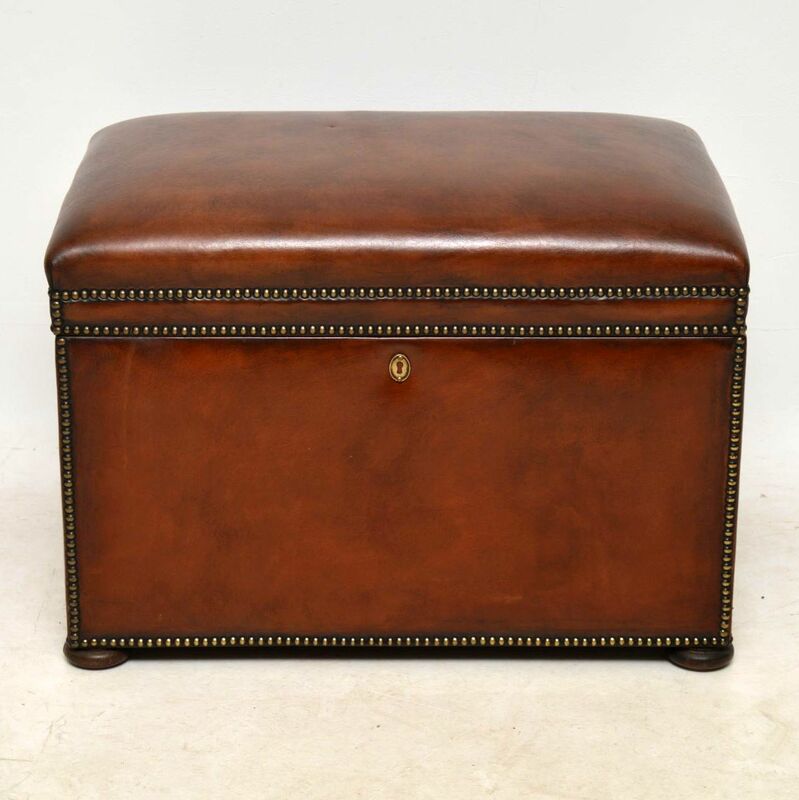 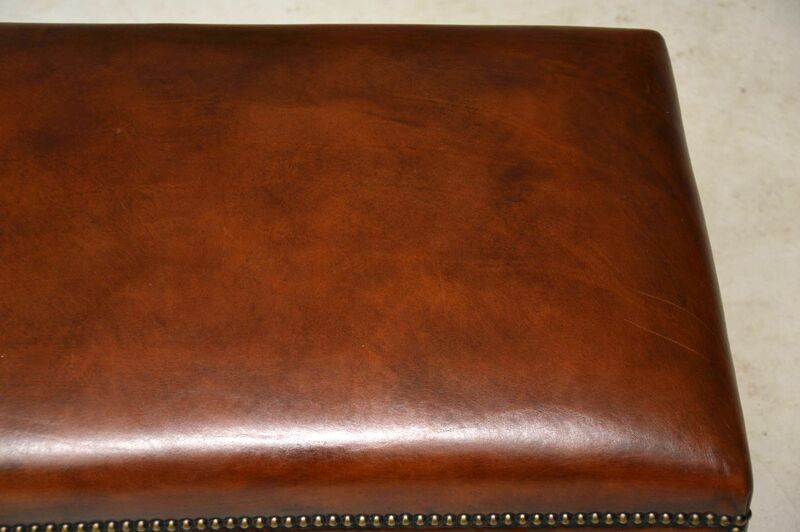 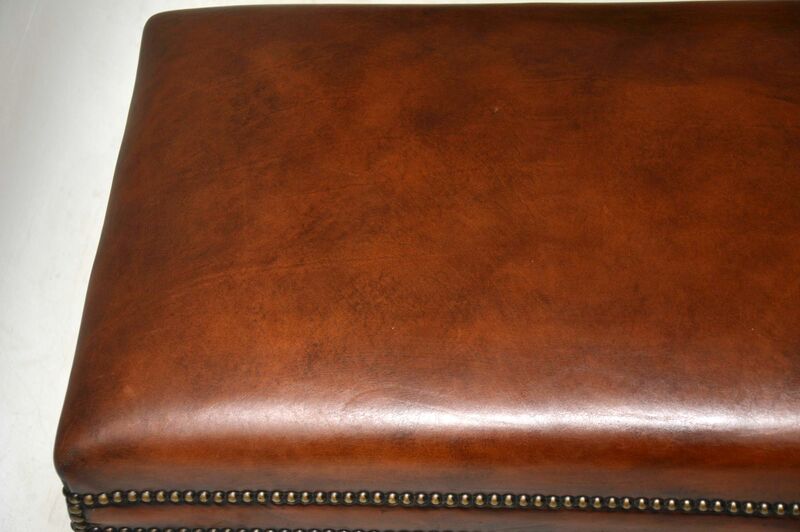 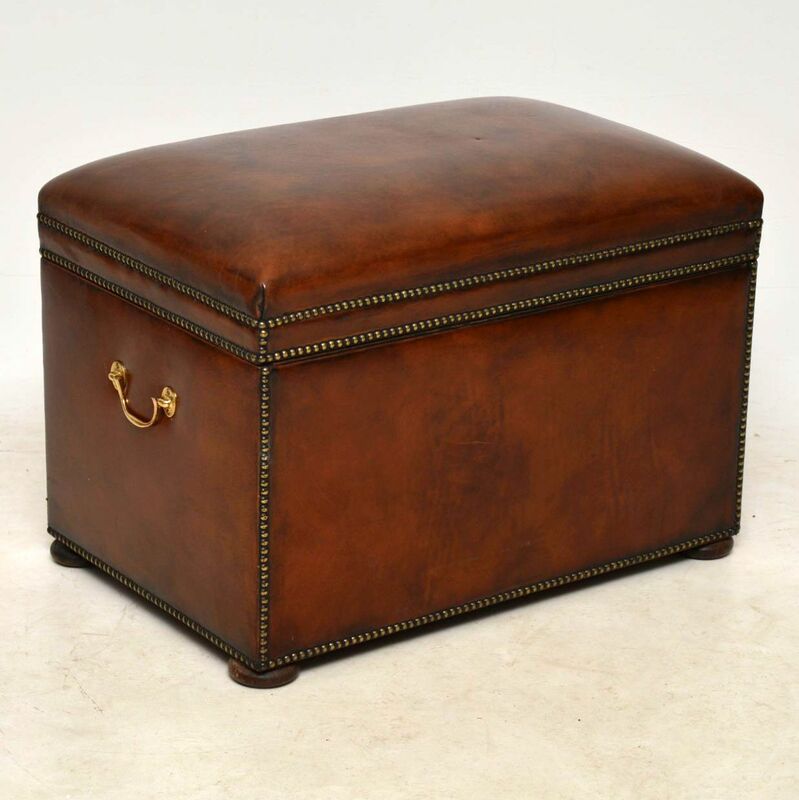 Antique Leather Bound Ottoman | Interior Boutiques – Antiques for sale and mid century modern furniture, french furniture, antique lighting, retro furniture and danish furniture. 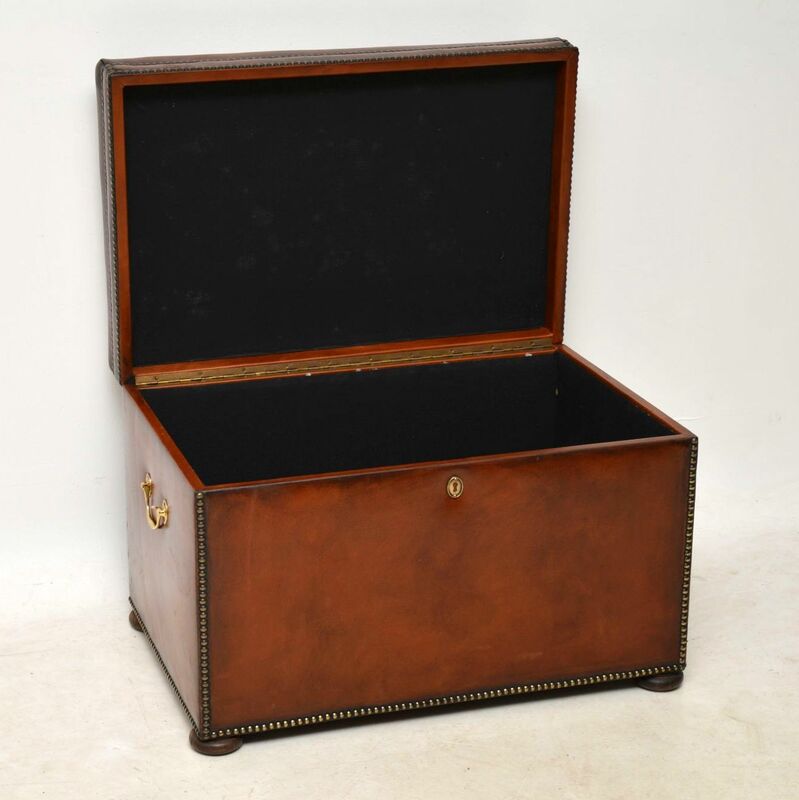 Antique Victorian style hand coloured leather trunk in excellent condition with a lift up seat & plenty of storage inside. 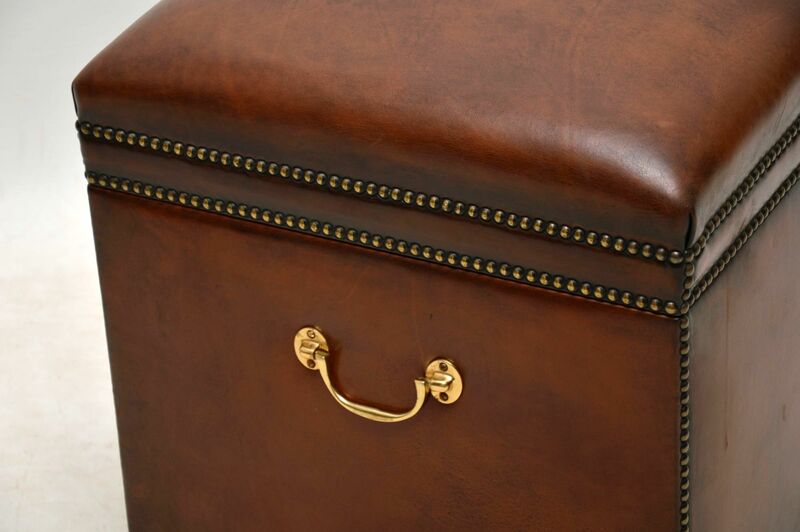 The leather is all hand tacked onto the frame & there are brass handles on the sides. 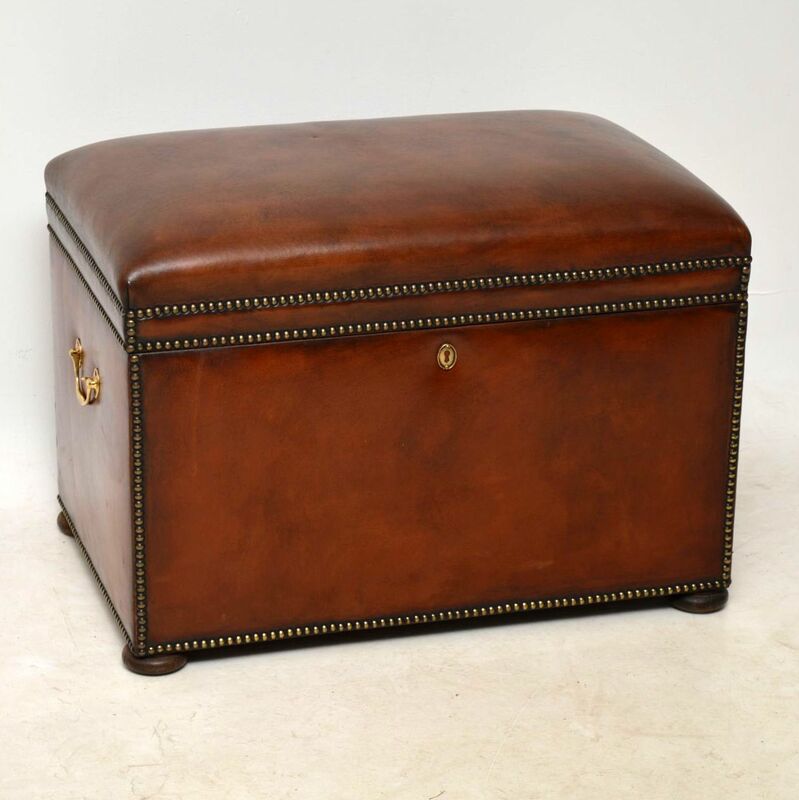 This trunk sits on flat bun feet. 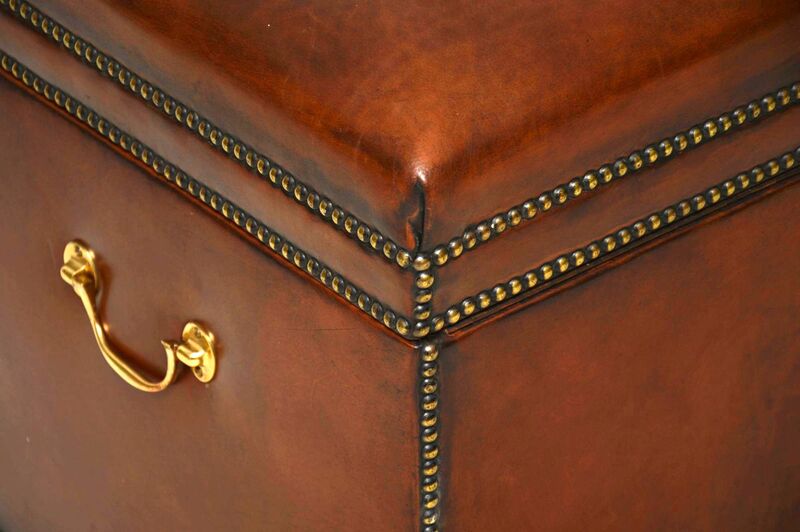 Although this trunk looks Victorian, I believe it has been made much later or at least re-upholstered. 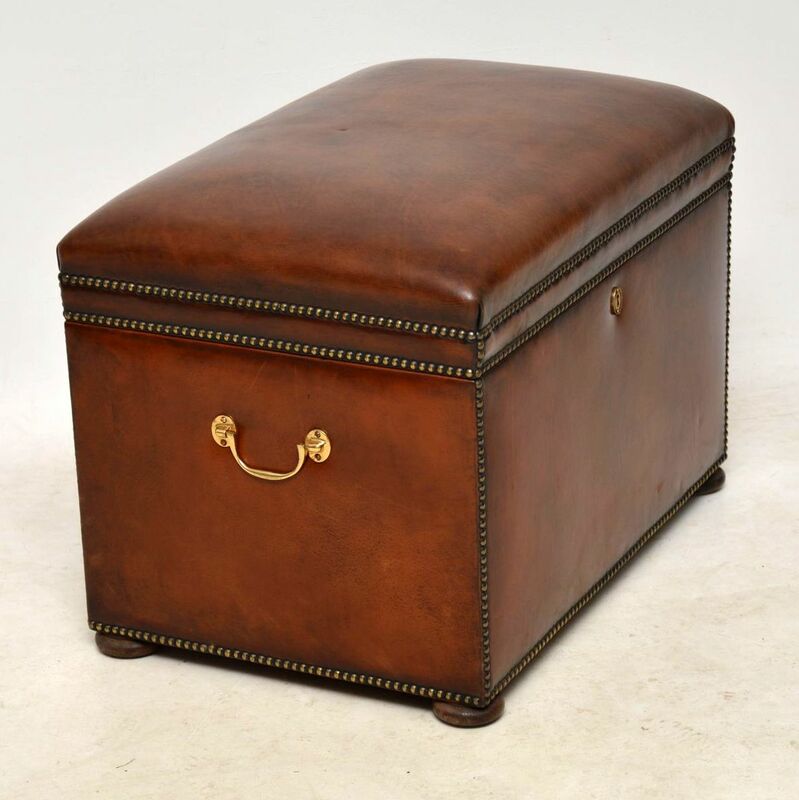 Either way, it’s a fine quality piece of furniture & very practicable.